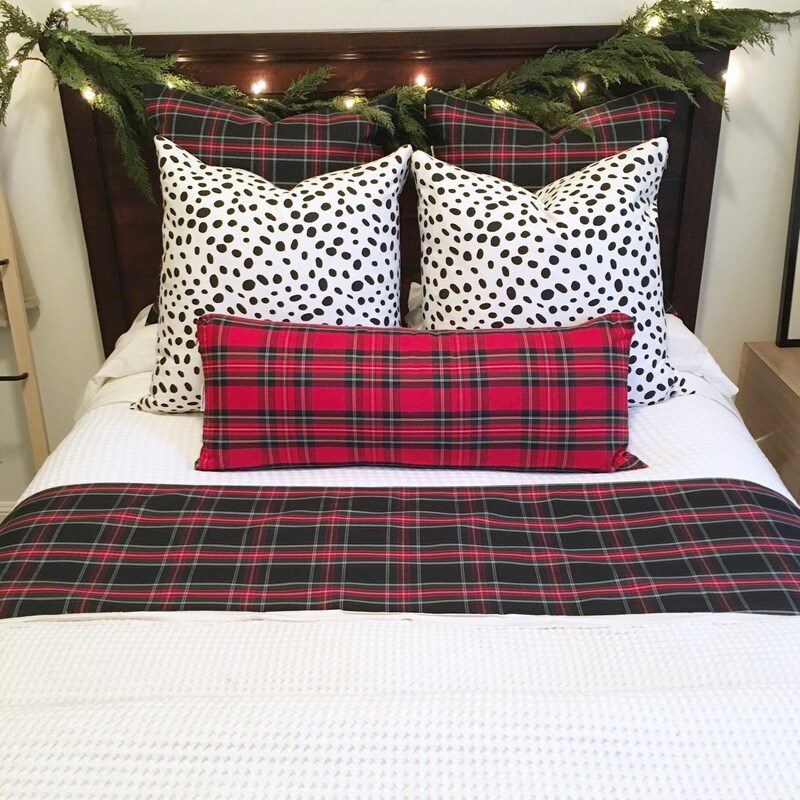 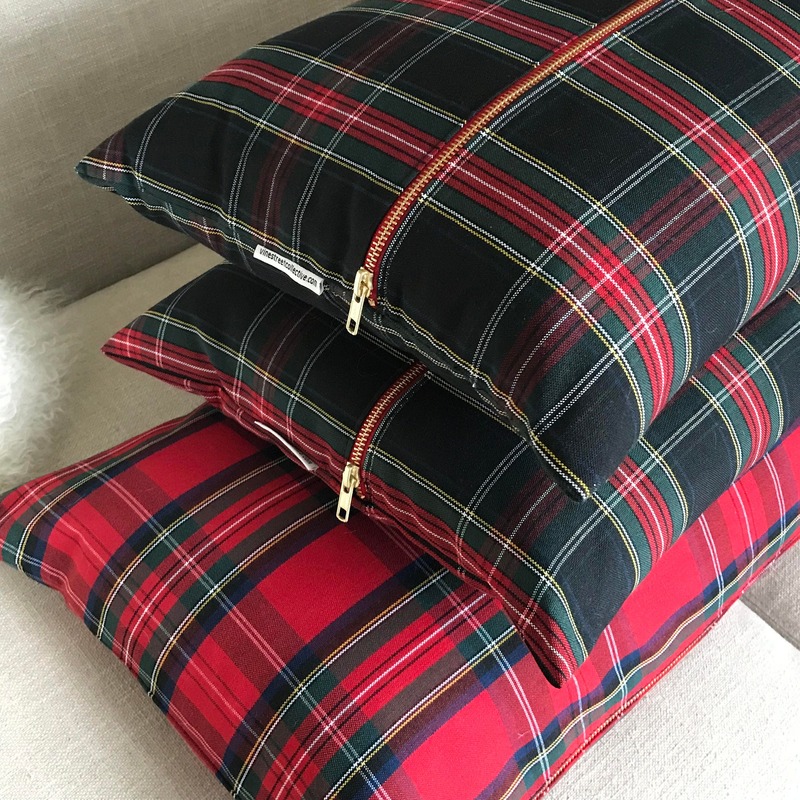 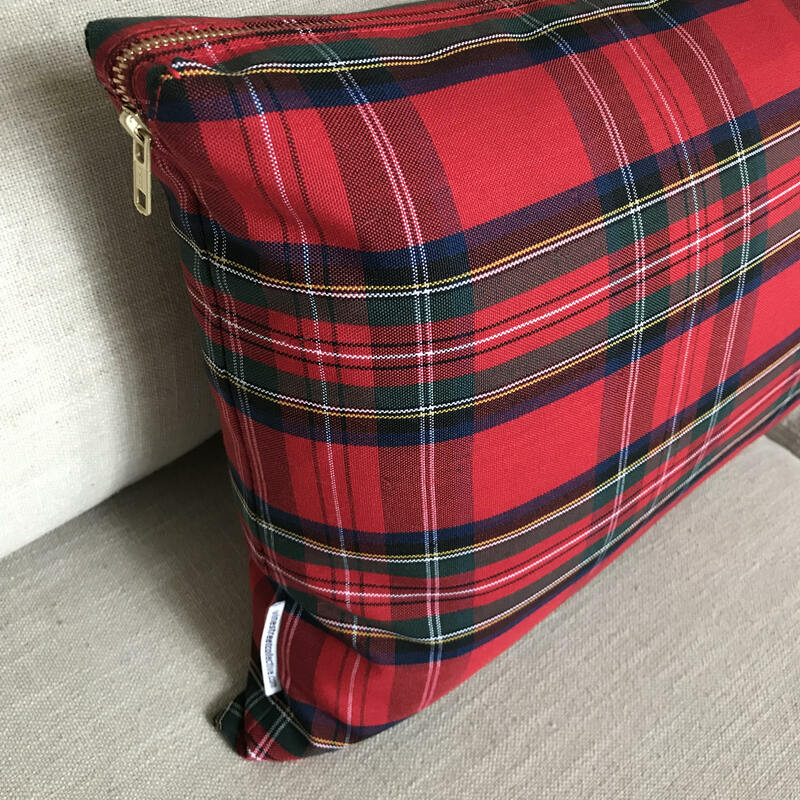 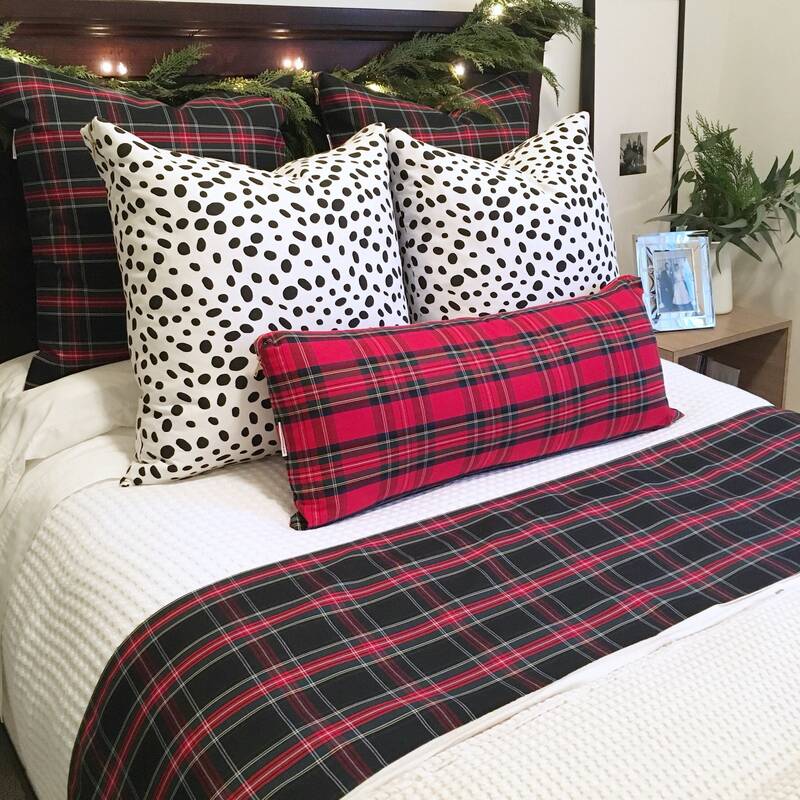 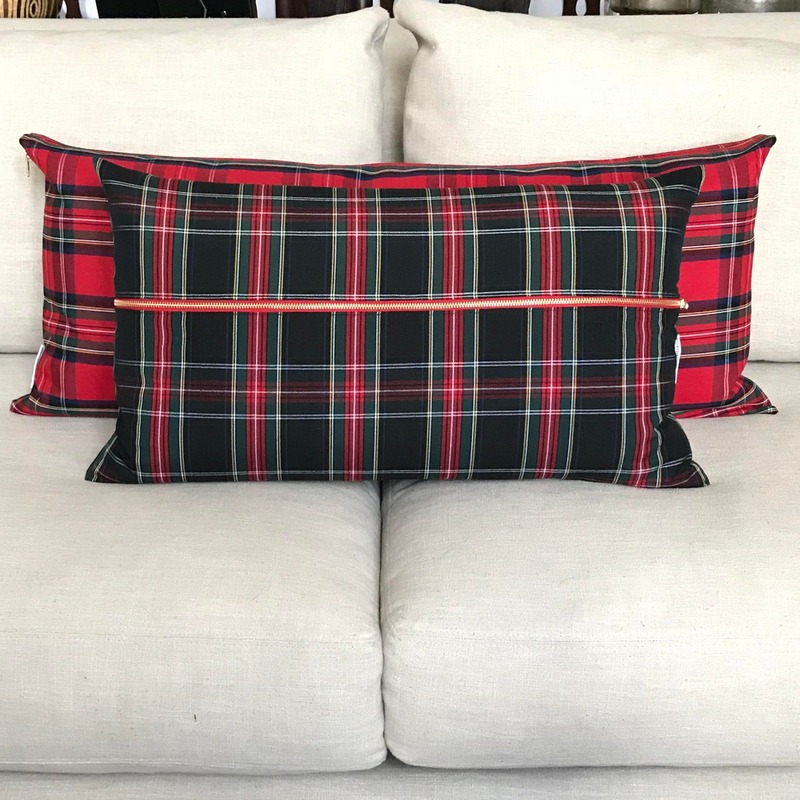 Throw this extra long, Oversized Red Tartan Lumbar into your holiday mix to enhance your master or guest bedrooms, or oversized sofa with seasonal cheer. 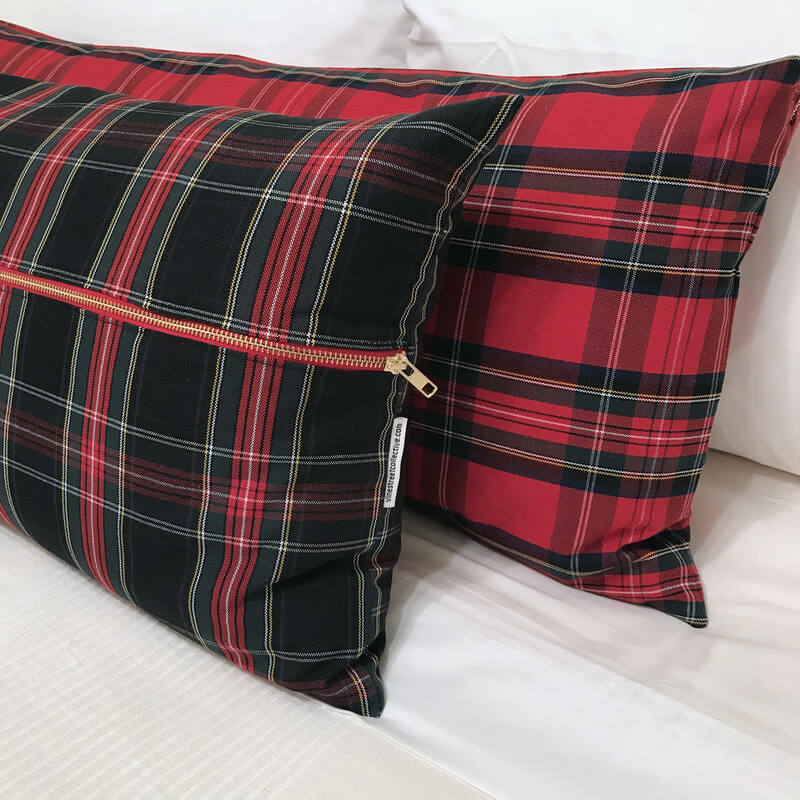 A Vine Street Collective trademark, the chunky gold and cobalt blue zipper adds a fresh edge to this holiday classic. 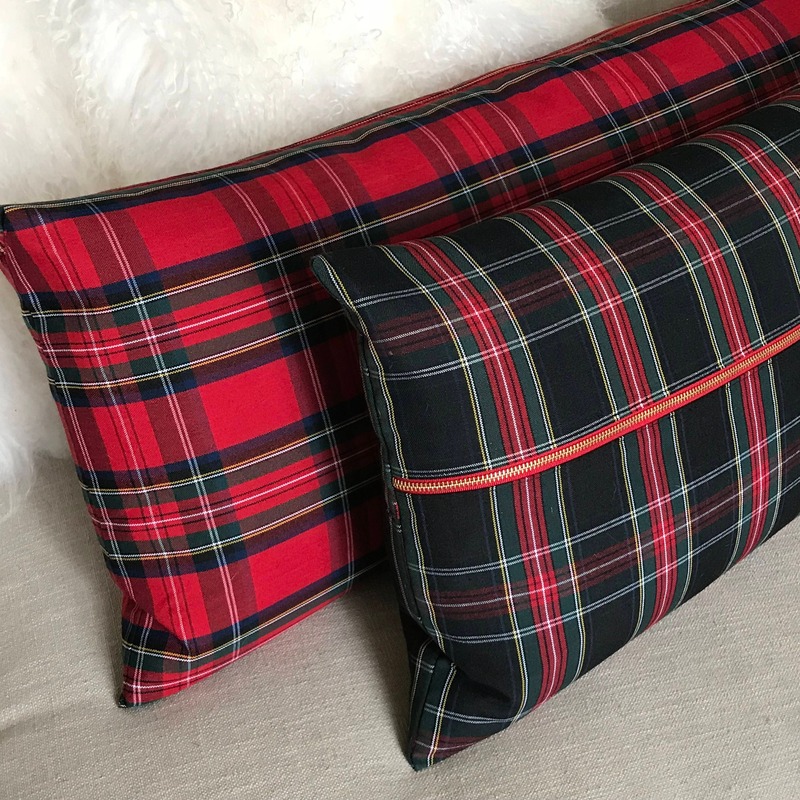 The fabric's deep red plaid tones are accentuated by a navy, white, mustard, and forest green patterned weave. 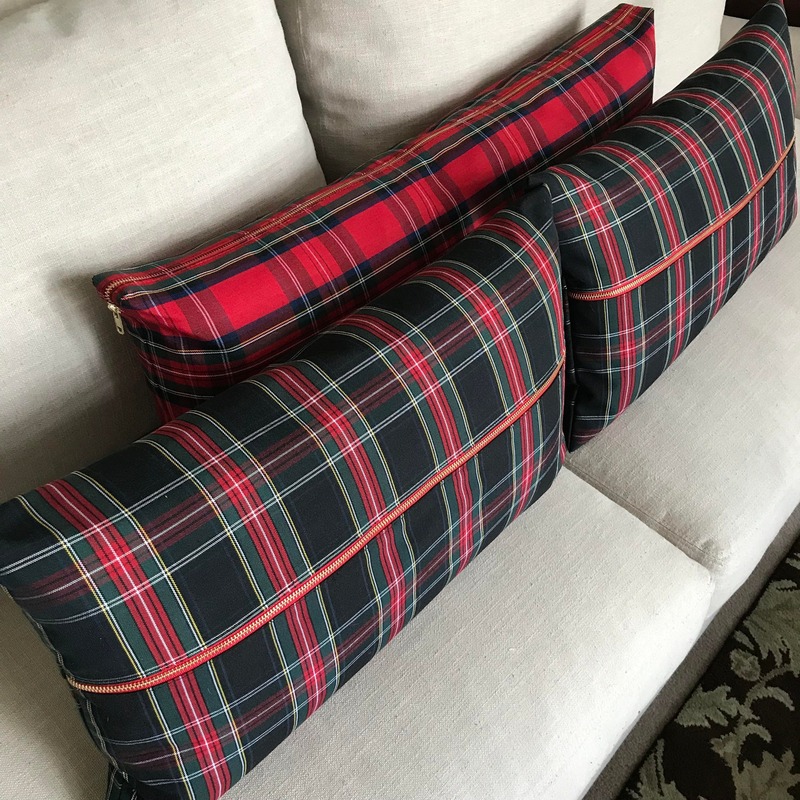 - Wash by hand with cold water. 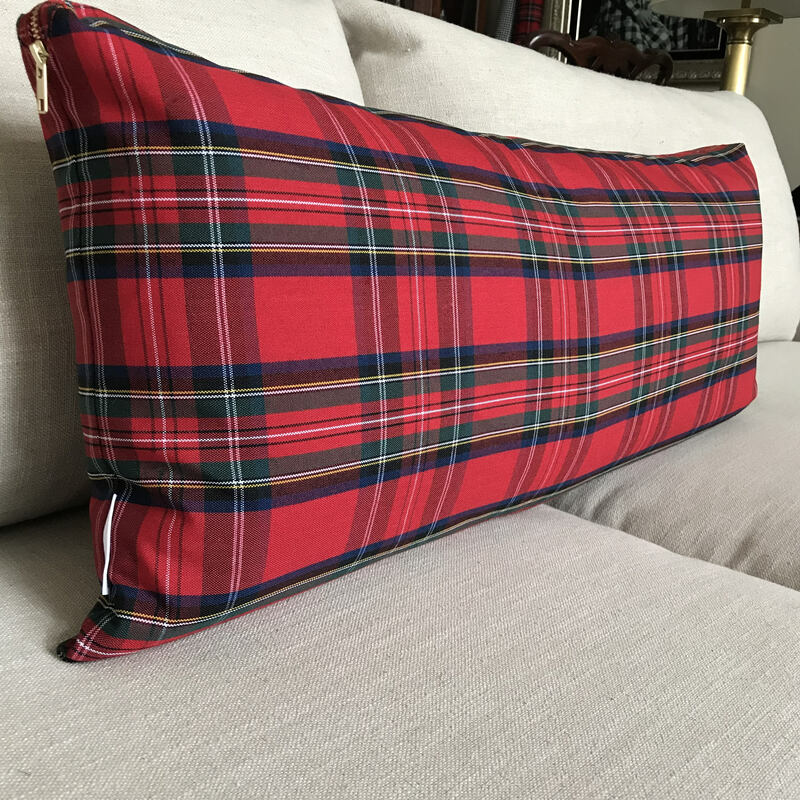 Air dry. 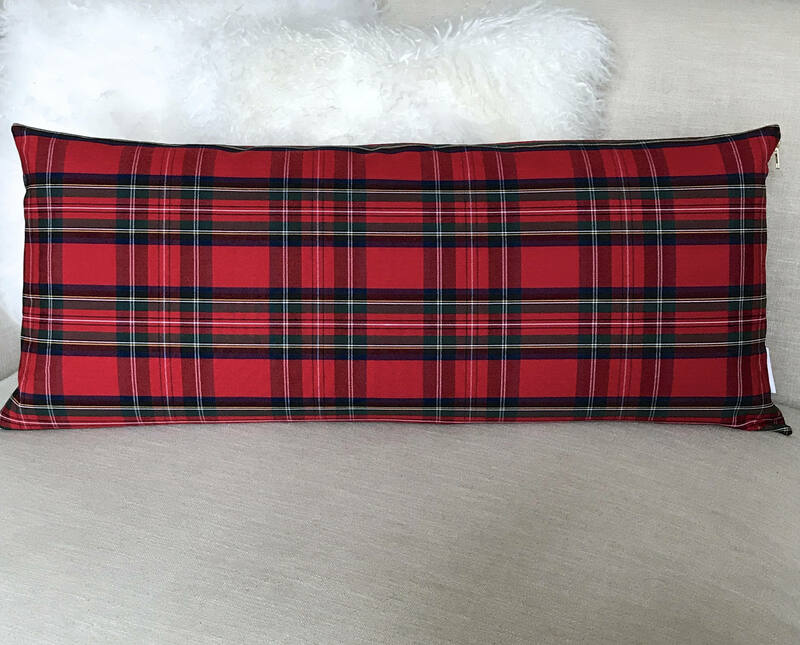 Cool iron as needed.